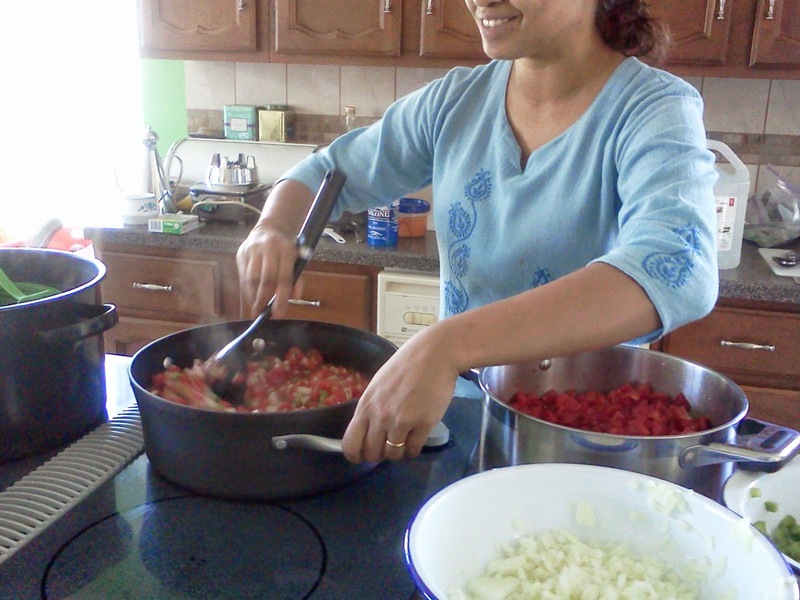 Michelle Peters-Jones from the Tiffin Box teaching us how to make salsa in September 2014 at our canning workshop. Where we came from and how we grew up, our food traditions, our present living situation and current access to foods, our schedules and family members and jobs - each of these things contribute to our unique food journeys. Perhaps you grew up in a home with fresh garden produce and homemade preserves, but you never learnt yourself. Maybe you've lived your whole life in an urban environment without access to or knowledge of gardening or food production. Maybe you have a huge family, kids to feed, soccer practices to attend, and no time to grow food on your own and no budget to buy what you feel are the most nutritious options. Our volunteers harvesting tomatoes in September 2014. All of our farm members come from different places in their food journeys. Many haven't ever gardened before and some have gardened most of their lives. There are ways that we can produce nutritious food no matter where we're at in our food journey. Below I describe three ways to help us feel empowered in our path towards food security. Don't know how to garden but want to learn? There is plenty of opportunity. 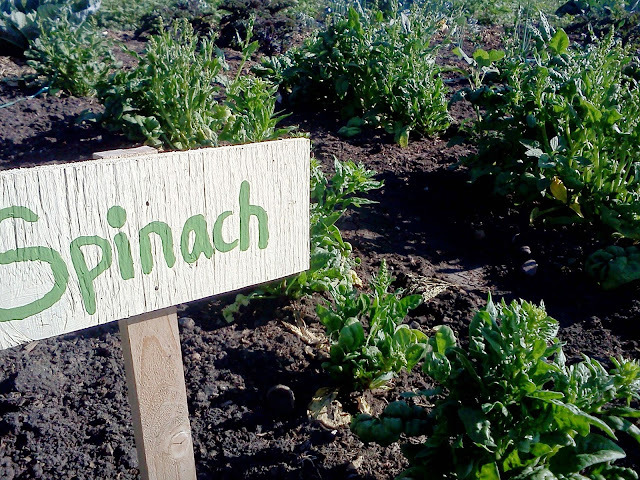 Join Prairie Urban Farm or one of the other U of A communal gardens on campus and you'll have garden leaders take you through the season from seeding to harvesting, giving you the skills you need to experiment on your own yard if you wish to. Prairie Urban Farm also organizes educational workshops throughout the year relating to food preservation so that our members can learn how to can, pickle, and ferment produce. Want to scale up your current green thumb? Consider taking the Master Gardener course offered by the Devonian Botanical Gardens or the Organic Master Gardener course offered by the Stony Plain Heritage Agricultural Society. The City of Edmonton has recently passed a bylaw allowing urban beekeeping. There are plenty of mentors and organizations in the city that can teach you the skills you need to get started. Johwanna from Mojo Jojo Pickles & Preserves demonstrating how easy it is to preserve and pickle foods at our February seminar. 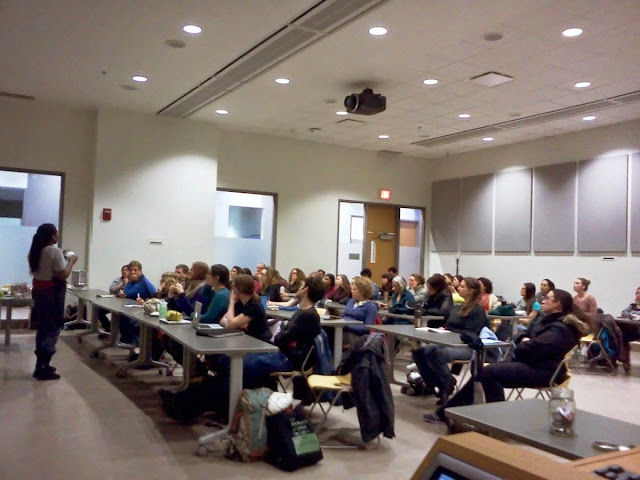 A lot of Edmontonians want to learn how to can and ferment their produce! Maybe you hate gardening but you love the taste of a garden tomato or carrot. A lot of people who grow those tomatoes or carrots would likely be open to a friendly exchange of goods (usually they have more than they know what to do with!). What skills do you have right now? Are you awesome at making bread or muffins or quilting or wood-working or pie-making? Ask your neighbour who has abundant apples covering their ground if you could use some in exchange for an extra apple pie for them. Ask gardening neighbours if you could trade them freshly baked bread in exchange for some garden produce when they have extra. Maybe your resource is that you have time and willingness to pick up a shovel! That could be huge for a neighbour who doesn't want to or can't do the heavy lifting involved in some of their tasks. Everyone has things they're great at. And if you really feel that you don't, learn some things! Everyone has to start somewhere and there are dozens of teachers in our own communities very willing to mentor each of us. There are also great events that happen during the year such as February 2014's Resilience Festival which had workshops on baking bread, maintaining tools, crafting out of willow branches, and cooking techniques! 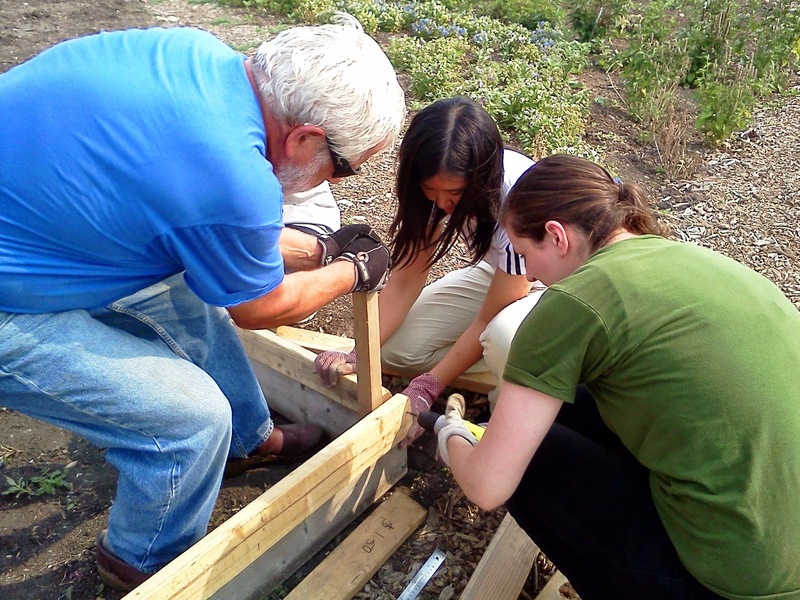 Retired professor Nils Peterson helps a group of U of A students build a raised garden bed. If you own your own home and have access to a yard, you're golden! You already have a ton of space that you can use to produce a variety of foods. Are there environmental barriers - is your yard completely shaded? Do you have crappy soil or a ton of weeds? Maybe you live in a condo and only have a windowsill? Each space has its own unique opportunities. There are plenty of crops that do quite well in a low-lit environment. Most greens (lettuce, spinach, kale) prefer a growing environment with low-light conditions. Root crops like carrots, beets, and turnips need a certain amount of light over the whole growing season to grow the root that we eat underneath the ground. If you plant these seeds early as soon as your soil thaws you should have a harvest by the fall. If your yard is very shaded and the roots are still small (you should be able to tell by digging a bit of soil away from the tops), leave them in the ground for a few weeks longer before you harvest as they will tolerate the frost that the fall brings. Strawberries, in their natural habitat, grow as a groundcover in forested areas so you may have luck with them in your partially shaded plots. Experiment and try different crops to see what does well in your particular growing environment. Spinach, lettuce, kale, chard, carrot, beets, turnip would all do well in low-lit conditions. Have you ever heard of lasagna gardening? It's also called sheet mulching and it uses some of the abundant, free materials that our urban centres provide. Cover your crappy, weedy soil with a layer of cardboard, making sure the cardboard overlaps (this makes sure the weeds don't push through the cracks of the cardboard). Then cover this with a few inches of compost. Cover the compost with a few inches of mulch (grass clippings, wood chips, dried leaves). You're effectively suppressing the weeds you don't want to grow and producing new organic matter to plant into. Also, it's all free. There's cardboard everywhere (ask grocery stores, check recycling dumpsters behind strip malls). 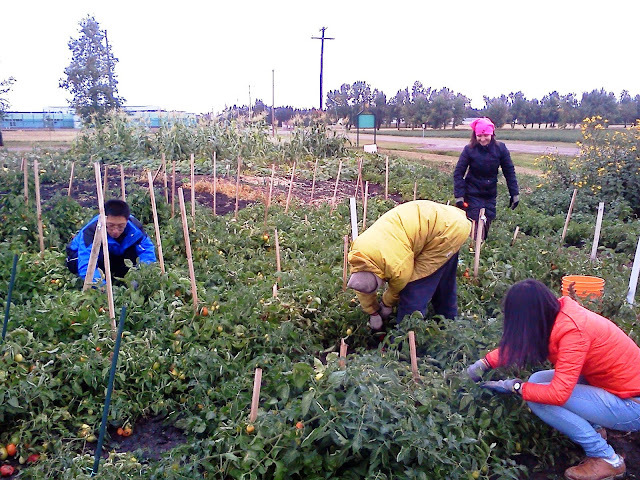 You can pick up free compost from the University of Alberta's South Campus just across from Prairie Urban Farm. The U of A workers leave a big pile of composted cow manure there during the growing season. Collect your own mulch by saving up your grass clippings and dried leaves, or ask your neighbours if you could collect theirs - most people just throw them out unfortunately. 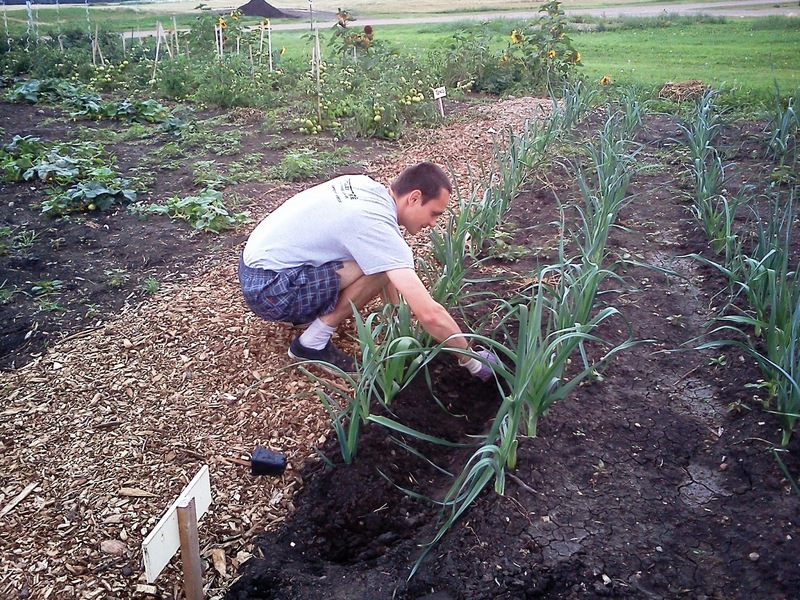 Volunteers sheet mulching at Prairie Urban Farm in the spring of 2014. You still have a lot of opportunity! Many plants can be quite effectively grown in containers. You do have more limited space with a balcony so your best strategy would be to focus on a couple of crops that would grow well and that you like. If your balcony is shaded, again, leafy greens and root crops would be your best bet. For root crops you'll need a deep container. If your balcony receives a lot of light consider growing tomatoes, peppers, and an herb like basil which are perfectly happy in containers. Don't worry you can still grow nutritious food without access to an outdoor space. If you have a windowsill that receives enough light you may be able to keep a variety of herbs going throughout the growing season which would definitely scale up your culinary options! Experiment with different herbs and see which prefer your level of light and make sure to water appropriately (not all herbs like the same amount! Trust me, I've killed many an herb plant this way). You can also sprout seeds in your kitchen which is a fantastic option for a nutrient-dense vegetable to add to salads, sandwiches, and cooking that doesn't even need soil. You can buy seeds such as lentils, beans, alfalfa, grain, broccoli, and radish in bulk so that it's cheaper. Try Apache Seeds, Earths General Store or an online supplier if you find that you want quite a lot. It only takes a glass jar, some sort of strainer, and a few days time to produce extremely nutrient-dense sprouts from a tablespoon of seeds. Seeds themselves are packed with nutrition and when they sprout they keep that nutrition and create even more fibre, protein, and nutrients. This sprouting instructional video will show you just how easy it is. There are also ways to access outdoor space. I mentioned community gardens above. Sustainable Food Edmonton has a list of all the community gardens around the city. The U of A also has an Adopt-a- Planter program where you can take care of a planter on campus for them and grow your own vegetables! I hope this gives you a sense of how much opportunity there is for each of us right now where we're at. We don't need to wait for the right soil, the perfect yard, or yard access at all. Learning new skills, sharing skills we have, and connecting with our community is a great start towards food security. Tim tending to the leeks in summer 2014. Volunteers who come in the spring with no garden knowledge become much more comfortable and confident in gardening tasks as the summer progresses. What: There will be music, appetizers, artwork for sale, garden games, and a silent auction! What: You'll get a pancake, sausage, fruit breakfast followed by a City of Edmonton Master Composter facilitated Composting Workshop! You'll even go home with a bag of compost! Great to see much volunteers participating in the harvesting season. You are doing a great job in teaching them techniques and methods for productive farming and harvesting.